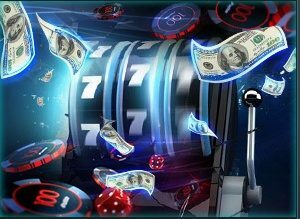 Join Drift Casino now and choose a welcome gift! You may get 100% bonus on your deposit or a bunch of free spins in most popular video slots from NetEnt. Choose one of the welcoming gifts, sign up and get the chosen gift into your profile immediately! In order to activate your gift, you must fulfil a couple of requirements listed in your profile. Get 30 free spins in Starburst, spin value is 0.1 EUR. Get 50 free spins in Motörhead, spin value is 0.2 EUR. Get 100 free spins in Fairytale Legends: Red Riding Hood, spin value is 0.2 EUR. Complete a standard deposit turnover (your total amount of bets must be 3 times bigger than your deposit amount). Make a deposit and get +100% into your account. Maximum cash prize is 500 EUR. Activate the gift in your profile and get the bonus into your account. Wager the bonus with x40 coefficient. Your sign up bonus may be activated within 5 days from the moment when the bonus is received.